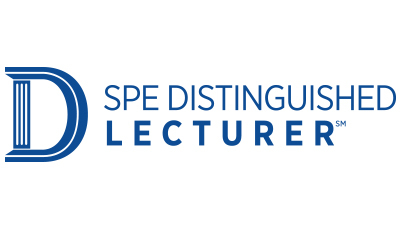 This webinar will share best practices for engineering professionals to prepare to take and pass the SPE Certification and/or the U.S. PE Licensure exams. The webinar will present a strategic approach to study, along with valuable exam day practices. Our presenter will share his personal experience with the certification exam that shares the same format and content as the U.S. PE exam. Dr Razik Shaikh has over 20 years’ experience working in the Oil and Gas sector in Production and Development Geology in both Clastics and Carbonates; Oil and Gas; IOR and EOR working predominantly in the Middle East (for Dubai Petroleum Company, Shell/PDO and KUFPEC) and also South East Asia (Shell Malaysia, KUFPEC Malaysia and KUFPEC Indonesia). Dr Shaikh has a BSc Honours Degree in Geology from Kingston Polytechnic and an MSc Degree in Petroleum Geology from Imperial College. Dr Shaikh read for his Doctorate in Industrial Geology, specialising in Clastic Sedimentology, at the Camborne School of Mines, University of Exeter. Dr Shaikh has substantial exposure in oil and gas fields, carbonates and clastic, both onshore and offshore deep and shallow water. He has taken a Lead or Focal Point role in many projects ensuring deliverables and targets are both understood and met. A key collaborator with Stakeholders and is experienced in presenting to Partners where necessary. His main area of expertise include Well and Reservoir Management, Static Reservoir Modelling and Well Delivery. Dr Shaikh has also served the SPE in numerous capacities including Northern Emirates Section Chairman in 2005. He served as the Engineering Professionalism Committee Chairman in 2009 and 2014 and is currently a member of both the Business Management and Leadership Committee and Engineering Professionalism Committee. He attained SPE Certification in 2006. ​As the industry moves to more complex multi-pad, multi-well completion designs, intelligent completion optimization will require more sophisticated algorithms to improve the decision-making process. This is where the use of analytics and AI can directly drive efficiencies to unlock the production potential of unconventional reservoirs specifically during hydraulic fracturing. The growing volume and availability of completion and production data creates a revolutionary situation where building reservoir potential maps, planning pads and optimizing completion designs begins to benefit from the use of AI methods. As the industry moves to more complex multi-pad, multi-well completion designs, intelligent completion optimization will require more sophisticated algorithms to improve the decision-making process. This is where the use of analytics and AI can directly drive efficiencies to unlock the production potential of unconventional reservoirs specifically during hydraulic fracturing. The growing volume and availability of completion and production data creates a revolutionary situation where building reservoir potential maps, planning pads and optimizing completion designs begins to benefit from the use of AI methods. ​Virtual Metering technology has been used in offshore oil and gas wells for over a decade with great success. They provide a cost-effective, yet reliable solution to monitor production continuously. They also serve as ready back-up to “physical” multiphase meters, which are both expensive and less reliable. Virtual Metering technology has been used in offshore oil and gas wells for over a decade with great success. They provide a cost-effective, yet reliable solution to monitor production continuously. They also serve as ready back-up to “physical” multiphase meters, which are both expensive and less reliable. On one asset that has been producing for over 18 years, Virtual Metering enabled reliable production metering, where it was previously not possible to do any type of well testing. In this case, the production metering process was successful because the Virtual Metering utilized multiple methods to predict flowrates and was able to keep predicting accurate flowrates, even as various pressure/temperature measurements / sensors in and around the wells failed over time. Another key component to the successful implementation of virtual meters is to leverage all data, including export meters, to calibrate the system. However, calibration presents unique challenges, especially in situations in which multiple wells are commingled and measured at a common meter. Recent advances in Data Analytics present a great opportunity to simplify the complex calibration challenge. On a recent project, several of the physical subsea multiphase meters were not performing reliably, and the back-up virtual meters required a higher level of accuracy (i.e., >99%), as these meters were used for allocation purposes. With only one export meter available as a point of calibration, Data Analytics was used to automate the complex calibration process that led to more than an 80% reduction in calibration times. These developments and advanced in the technology has allowed the Virtual Metering software to be scalable for application on vast networks such as shale well and coal seam gas, in addition to conventional producing assets. Lastly, Virtual Metering technology has proven to be an excellent backup to full multiphase meters on each well. Because Virtual Metering facilitates improved visualization of the whole field’s production performance, the users can determine if there are any biases in each individual multiphase meters and actually helps improve the accuracy of these “physical meters”. Dr. Erickson serves as the Technical Authority and Technology Development Lead for Wood’s Intelligent Operations group the Automation & Control business. At Wood he has pioneered the development of real-time, transient, multiphase flow simulators, leak detection systems, and control / optimization software for platforms / pipelines and has written most of the core code for the multiphase pipeline simulator. In addition, he has been involved in numerous technical studies involving transient multiphase flow and dynamic process modelling. Since 1996, has had a significant role in over 100 projects, by providing functional design, detailed design approval, trouble shooting, tuning, quality review and testing and technical supervision. He worked in the area of flow assurance by writing the first version of the Colorado School of Mines Hydrate program in 1983; then developed high accuracy equations of state in conjunction with NIST in Boulder, Colorado while getting his PhD from Rice University. He co-developed a thermal soil model enhancement and a bundle model enhancement for OLGA, and developed the first commercial model for paraffin formation. He has recently developed a model of SAGD well pad, including reservoir modelling and steam and production tubing. Content for this webinar is provided by QRI. By registering, your contact information will be shared with the sponsor. The rise of advanced analytics in oil & gas has resulted in great efficiency gains especially in the area of automated field/reservoir diagnostics. However, the solution space is still labor-intensive, mired in subjective geologic interpretations and hindered by the lack of interdisciplinary data integration. In this webinar, a QRI expert presents a robust framework that fully streamlines opportunity identification, as well as a platform that automates geologic/engineering workflows. The technology uses a series of computational and data-driven algorithms to solve the various sub-problems encountered in the process of identifying field development opportunities. With a bachelor's in computer science and a master's in geology, Wassim Benhallam uses his interdisciplinary skills to develop fast, automated, and data-driven solutions that incorporate geological and engineering data to prescribe how to maximize oil production. 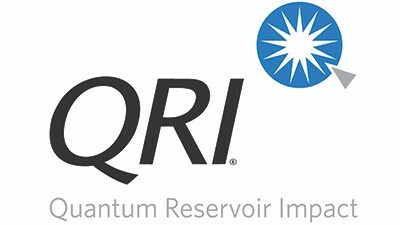 Since joining QRI, he has had the opportunity to deploy these technologies to identify workovers/recompletion opportunities and new drill locations in various oil fields in the Middle East, California, and Mexico. Mr. Benhallam also uses his quantitative background to develop cloud-based virtual assistant applications leveraging the latest machine learning (NLU) models and web technology to assist engineers and geoscientists in querying subsurface data, investigating reservoir problems, and extracting insights. During his graduate studies, he conducted multi-scale point pattern analysis of channel-belt sand bodies from the Straight Cliffs Formation in Utah and developed photorealistic outcrop models using DEM reconstruction from large LiDAR point clouds that can be used as quantitative inputs into reservoir models. Data science and Data-driven technologies, such as Data analytics and AI (Machine Learning, Deep Learning) have achieved real value creation in various industries such as Retail, Finance, Manufacturing, Advertising and Social platforms. However, and in spite of the possession of large volumes of data by the Oil & Gas companies, they did not yet realize the full potential of these technologies and their data. This webinar will try to shed some light and share my thoughts on how the Oil & Gas industry can develop this critical proficiency in Data science and Data-driven technologies in order to reap the promised rewards of improving efficiency, cost savings, and enhancing operational safety. Mr. Al Awwami is an accomplished Information Technology Senior Systems Consultant with more than 30 years of experience working in the Oil & Gas industry. He is skilled in IT Strategy & Planning, Big Data Analytics, Digital Transformation, AI/ML/DL technologies, Enterprise Architecture, HPC, High Performance and Enterprise Storage, Data Protection, Cloud Computing, Database and Data Warehouse solutions, System Administration, and IT Infrastructure Operations and Service Management. Mr. Al Awwami has a Master Degree in Computer Science. The terms "Well Barrier" and "2 Independent Barriers" are used throughout well integrity management literature. However, there are misunderstandings as to what truly constitutes a Barrier and what are 2 Barriers, as opposed to 2 isolations or redundancy. Physical Barriers, their construction or installation and verification against performance criteria are the foundation of establishing and maintaining a well's integrity. 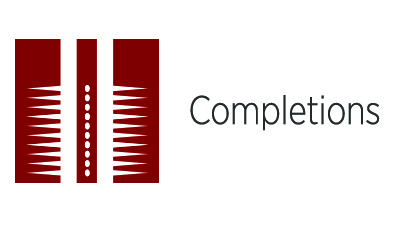 Understanding how a system of components (barrier elements) is used to establish a barrier can become complex especially when there are multiple sources each requiring their own containment. This webinar will discuss and review fundamental concepts, to bring some clarity to these essential topics. Mr. Fjagesund is the Founder and Managing Director of Wellbarrier, a company providing well barrier/well integrity software solutions and services. He has degrees in mechanical engineering and petroleum engineering and has worked with well integrity issues since 1998. Mr. Fjagesund worked with Flopetrol / Schlumberger from 1980 to 1991, doing well testing in Saudi Arabia and holding management positions in Brunei, Italy and Norway. He has worked as an independent consultant since 1992; mainly working with Norsk Hydro and Statoil on intelligent completion, well integrity and drilling and well management systems. Tore co-founded Wellbarrier in 2007 and is currently employed by Schlumberger to run the Wellbarrier business, following its acquisition. In addition to working with well integrity issues, he has set up management systems for drilling and well operations for several national oil companies in Norway and is a co-author of the Norsok D-010 standard. As wellbores age, the potential for loss of wellbore integrity due to challenges such as, corrosion, stress, fatigue and other factors increase. Stimulation and tertiary recovery methods such as CO2 floods, as well as the introduction of disposal into depleted zones can negatively affect the wellbore by introducing conditions outside of the initial well design criteria. In a given field, many if not all wells will experience similar issues because the well design and life-of-well conditions are similar. Restoring wellbore integrity is a viable alternative to plugging and abandoning these compromised wellbores. Both current and potential issues in production casing and tubing strings can be identified through a number of methods ranging from abnormal annular pressures to cased-hole logging techniques designed to measure the in situ casing dimension, cement presence and bond quality. Once the wellbore condition has been identified, decisions can be made on the best method to restore that wellbore’s integrity. These solutions range from cement squeezes to seal the leak, to patches of various configurations to repair leaking connections, or long sections of the affected casing, to cementing a new string of casing or tubing into the wellbore. This presentation will focus on identification of wellbore conditions and methods you can employ to restore wellbore integrity, thereby restoring production, maximizing recoverable reserves and preventing potential damage to people or the environment. Mr. Galloway's career has focused on drilling optimization and increased efficiency and has been involved in the early development of several oilfield technologies. He is Vice-Chairman of the AADE Deepwater and Emerging Technologies committee where he also served as Chairman. Greg held roles with SPE as a board member, has served on many industry programs, workshop steering committees, and session chair. Greg has a Petroleum Technology Degree, has authored over 30 technical papers and is named inventor on over 25 patents related to drilling optimization, drilling with casing, expandable tubulars and particle-impact drilling. In 2017-2018, Clare Bebbington (Audire Consultants) and Emma Wilson (ECW Energy) carried out research to explore some of the challenges faced by CLOs in their frontline roles. The research included a survey of over 120 CLOs from 31 countries and representing 25 companies. 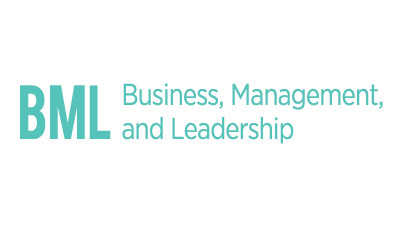 The results were published in an SPE paper in 2018 and led to the development of a toolkit for companies building resilient community liaison teams, launched by IPIECA in 2018. In 2019 Clare and Emma launched a new phase of the project, exploring the ways in which gender influences corporate community engagement in resource-extraction projects. This webinar will explore the key findings from Phase 1 of this project and reflect on how the IPIECA toolkit has been used since its launch, and will also provide some insights into the current phase of the project. Ms. Bebbington runs her own non-technical risk consultancy advising international companies, industry associations and civil society organizations. She has over 25 years of experience in the oil and gas industry, much of it managing non-technical risk for major investments in challenging political and security environments. She has led Fellowship programs in good governance and the rule of law for the next generation of young leaders from the Former Soviet Union, is a founding trustee of a major cultural heritage project in Iraq and a member of the External Advisory Panel of Oxford University’s History Faculty. Dr. Wilson is an independent researcher and consultant, director of ECW Energy Ltd., Associate of the Scott Polar Research Institute, University of Cambridge, and Associate of the Consultation Institute, UK. She has over 20 years’ experience of researching and consulting on energy and extractive industries, community relations, indigenous rights and corporate responsibility. A fluent Russian speaker, she combines academic publishing, based primarily on field work in Russia, Greenland and Norway, with consultancy work for industry, including impact assessment and social audit of industrial facilities, mainly in Central Asia. She has also worked on energy-related projects in Africa and the Middle East. Content for this webinar is provided by NatureWorks. By registering, your contact information will be shared with the sponsor. The use of Ingeo™ polylactide (PLA) biopolymers for fluid diversion and other downhole fluid management applications for increasing well productivity is longstanding. New developments in these degradable biopolymers introduce faster degradation rates appropriate for low temperature wells down to 120°F. This webinar will cover PLA’s hydrolysis behavior and explain in detail how the rate of degradation can be tuned for applications requiring fast degradation at low temperatures (120-140°F) thru applications desiring slow degradation at high temperatures (~300°F). We’ll also review how different degradable biopolymer shapes including particulates, film, fiber, and molded articles lead to a wide range of end uses and performance attributes downhole. 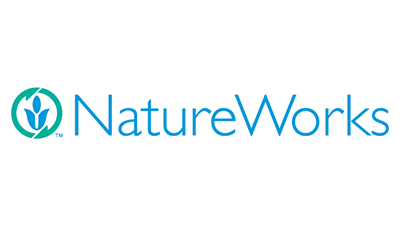 Dr. Valentine currently leads R&D and new product development projects for NatureWorks. He joined Cargill Dow LLC as Technical Director of Analytical Chemistry in 2000 after serving as Research Associate at Dupont for 10 years. Jim served as a post-doctoral research associate at MIT from 1989 to 1991 and received his Ph.D. in analytical chemistry from the University of Minnesota in 1989. Jim also received an MBA from the University of Delaware. Pore Pressure Uncertainty is one of the biggest challenges faced by drilling companies today. This webinar will go through the concept of an intelligent MPD system and how this has been implemented to assess the formation pressure limits and mitigate drilling hazards. Pore Pressure Uncertainty is one of the biggest challenges faced by drilling companies today. Despite the great advancements in the generation of new models to predict the mud weight window, pressure uncertainty still represents a significant percentage in the total amount of nonproductive time in drilling operations. 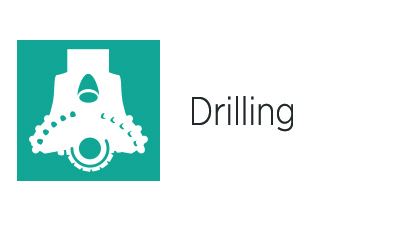 The implementation of intelligent Managed Pressure Drilling systems has proven to be an effective instrument reducing this nonproductive time by assessing the pore pressure limits while drilling and by minimizing the consequences of encountering abnormal pore pressure or unexpected downhole fluid losses by allowing a quick response to this events detecting and automatically adjusting bottomhole pressure. This webinar will go through the concept of an intelligent MPD system and how this has been implemented to assess the formation pressure limits and mitigate drilling hazards. Mr. Iturrios has more than 11 years of progressive Oilfield experience in Managed Pressure Drilling Operations (including CBHP, PMCD, nitrified mud, foam drilling, etc.) designing and executing with single-phase and two-phase fluids, nitrogen injection through drill pipe and concentric casing, in HPHT wells, LPHT wells and high pressure gas wells. His oilfield career started as MPD Field Engineer working for Schlumberger in projects in Mexico and Latin America and afterwards moving to Weatherford in the Middle East. He is currently the GeoZone Technical Manager for MPD Operations for Weatherford.